LABOUR SENATOR LORRAINE Higgins has deleted her professional Facebook page after being subjected to a “tirade of abuse”. Higgins told TheJournal.ie that she decided to delete the page after being called a ‘c**t’ and told she should have been aborted. She also received death threats. 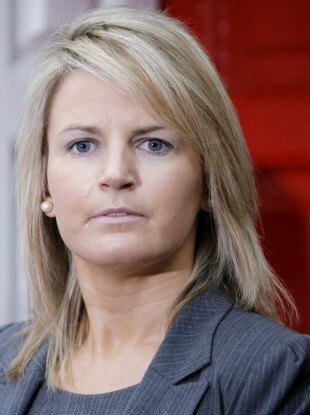 During her unsuccessful European election campaign, Higgins was told she would be “hatcheted in the face”. The Galway-based Senator said that she initially tried to “brush off” the abuse, telling herself ‘This comes with the territory, you have to get on with it’. However, she took action after her family became upset when the level of threats increased. Higgins stressed that “for the most part” the people who engaged with her page were “decent” but said she had to take action when the volume of trolling targeting her and her supporters continued to increase. Higgins, a qualified barrister, said that she has almost completed a new cyber bullying Bill that proposes more serious punishments for online trolls. She noted that she has always had an interest in cyber bullying but became more involved in the area when victims contacted her after she was bullied herself. The Senator said that having a debate online is fine but “trying to degrade me and humiliate me is not the way to do it”. I’m not talking about people expressing their opinion, I’m talking about direct threats. There has to be deterrent and sanctions for people. Higgins stated that if the harassment had taken place in public, the perpetrators would have been arrested. She added that when she contacted the people who had threatened her directly, they were “cowardly” and didn’t want to talk. In late 2013, the then Communications Minister Pat Rabbitte set up the Internet Content Governance Advisory Group to report to him on a range of issues related to online content. The group made a range of recommendations in June 2014, including that the Communications Regulation Act be amended to include ‘electronic communications’ deemed “grossly offensive, indecent, obscene or menacing”. An implementation group was set up by the Government in July and will report back by the end of the year. At present, the Law Reform Commission is also reviewing online-related issues such as cyber bullying. Email “Labour Senator deletes Facebook page after being told she 'should have been aborted'”. Feedback on “Labour Senator deletes Facebook page after being told she 'should have been aborted'”.